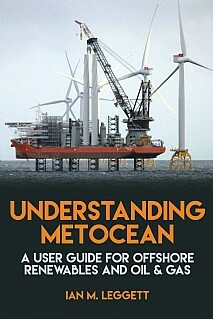 This unique and innovative book provides guidelines, procedures and information about the oil and gas sector requirements for metocean at each stage of the lifecycle from initial exploration through to field abandonment, together with information about metocean activities that support these requirements. It presents a better understanding of what metocean is all about and how optimum use of data and information can benefit oil and gas activities. It is a source of information to explain the processes to follow to ensure that metocean requirements are addressed. Reference is made to appropriate standards as and when applicable and it will therefore complement existing standards. Written by an expert with many years practical experience, the book provides information about the development of metocean, the rationale behind it and the key data and procedures that should be utilised and followed to enable more profitable offshore operations. Metocean conditions around the world. This book is for both metocean providers and end users, the latter falling within a wide range of disciplines and operators including professional engineers and scientists in offshore engineering, oil and gas technology, structural, pipeline and subsea engineering. It will also be of use to academics and students in these disciplines, and project managers, well engineers/drillers, renewable energy engineers, surveyors, naval architects and logistics (marine and aviation) personnel.